Topping our bestsellers last week was The Rosie Result, the third and final book in Graeme Simsion’s bestselling series that began six years ago with The Rosie Project. This final instalment, which follows Don and Rosie as they tackle the hardest project of all: raising their son, has all the quirky and hilarious charms that made readers fall in love with the series. 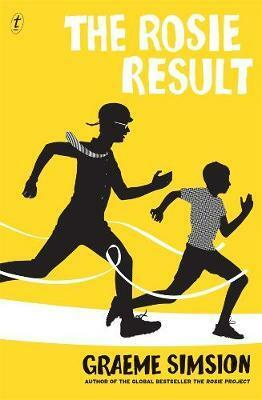 A limited number of signed copies of The Rosie Result is available from our online store. Other bestselling books include detained journalist Behrouz Boochani’s powerful and compelling memoir (No Friend but the Mountains), which continues to generate crucial debate about Australia’s off-shore detention policy, perennial chart-toppers by Bruce Pascoe, Sally Rooney and Michelle Obama, and several books that approach health and well-being in different ways. These include Ottolenghi Simple, which introduces readers to fresh flavours to help fuel their day, diet titles The Fast 800 and Eat Like an Athlete, and Lee Kofman’s thoughtful and astute memoir about the myth of physical perfection (Imperfect). Rounding out the top 10 is a slim new short story by Haruki Murakami (Birthday Girl), which was published to commemorate the beloved author’s 70th birthday.